Medical Casework Solutions | Donnegan Systems Inc. 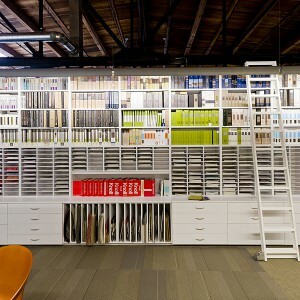 Storage that adapts to change as quickly as you do. By offering Modular casework over traditional millwork, we provide you with more flexibility. As your needs change, your storage can change with them. It is important that exam and procedure rooms remain functional and efficient while still providing the right aesthetics. 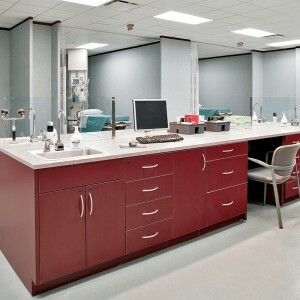 Our casework is highly modular to allow proper storage for all types of tools and procedure equipment. All of our casework is manufactured with state-of-the art saws and the plans are archived digitally. We can replace and expand our components with precision. We build highly functional work islands that put supplies, electricity, and water right at the clinicians’ fingertips. 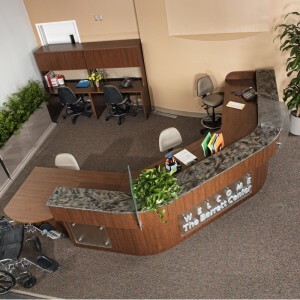 We also make reception style nurses stations featuring generous, wire-free work surfaces. Our stations support the way nurses work and are specifically designed with nurses in mind. We offer numerous features and options that make caring environments easier for clinicians and their patients. 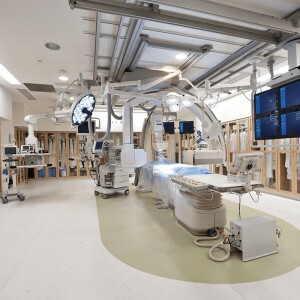 Along with our close attention to aesthetic detail and functional design, we also offer strategies for combating infection, increasing work flow, and helping nurses spend more time with patients. 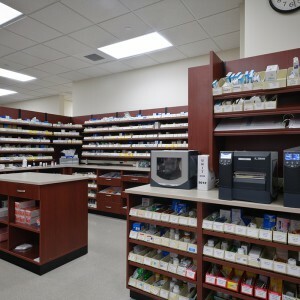 It’s the details like toe kicks that allow pharmacists to work comfortably at the counter, soft-close drawers that reduce noise levels in the pharmacy, and black phenolic resin work surfaces that keep stray pills in sight, that make our solutions the preferred choice among pharmacists. 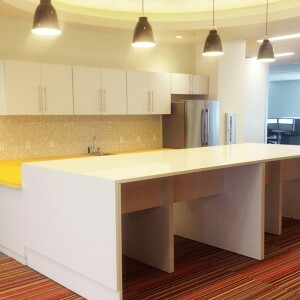 Although it looks built-in, our casework can be moved and repurposed to accommodate new technology or increased demand. We offer many options with our reception stations that allow you to create a unique look for your entry way. Our design team will assist you in the workflow optimization and the planning details of each solution to help you create both an aesthetically pleasing and functional design. Our mail centers are designed to ease tasks performed in mail rooms. We offer many custom options which allows companies and universities to optimize their workflow, productivity, and efficiency. With endless design capabilities we can tailor this solution to fit every unique need. 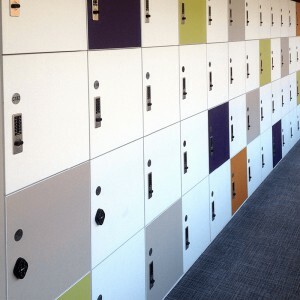 Having lockers in the modern office, education, and healthcare environments has become more and more popular, and we offer solutions that can match the aesthetic intentions of any space. We offer so many choices in size, doors, shelves, locks and finishes that we are able to deliver a custom solution for every project. Our pantry solutions are completely customizable to your needs and amenities. We can make open wall cabinets that house your model of microwave precisely and cabinet doors with frosted glass that suggest their contents but hide clutter. We design break rooms and pantries that streamline coffee and food preparation as well as encourage employees to gather and share ideas. 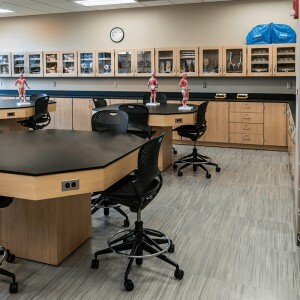 Our casework meets the safety, security and storage needs of modern research and teaching labs. We offer the options and capabilities to build high performing, precise work spaces. 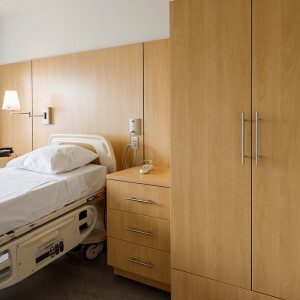 Cabinets can be constructed in any measurement to accommodate specific equipment and supplies, and locked glass doors allow you to see the contents while keeping hazardous supplies and expensive equipment secure. Raceways built into work islands and base cabinets can house Ethernet, electrical and plumbing pathways. The flexibility of our modular systems responds well to major changes in technology, personnel and purpose. 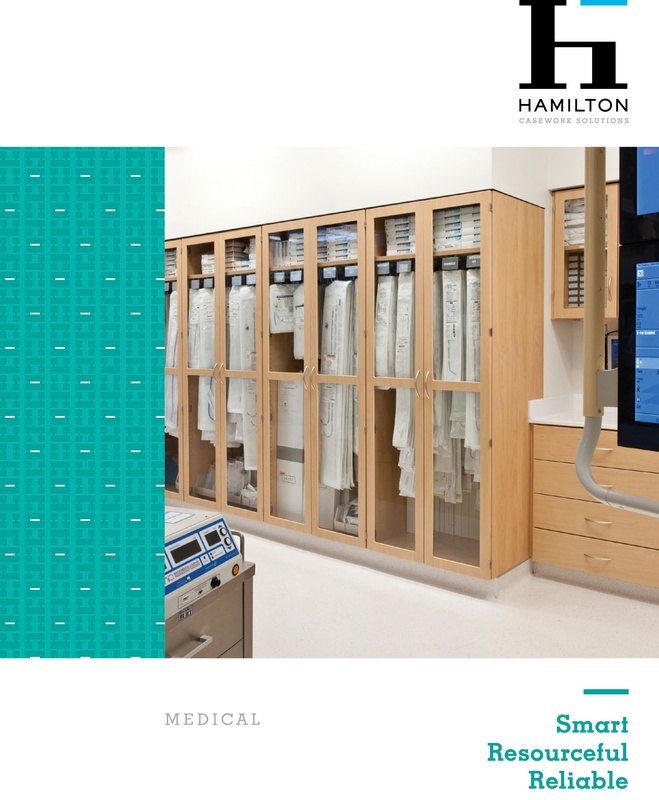 Our modular storage solutions are great for healthcare settings, educational settings, and office environments.